Click a cell, and it will change from 'off' to 'on', and back again. Easy! But clicking a cell also changes the cells above, below, to the left, and to the right. 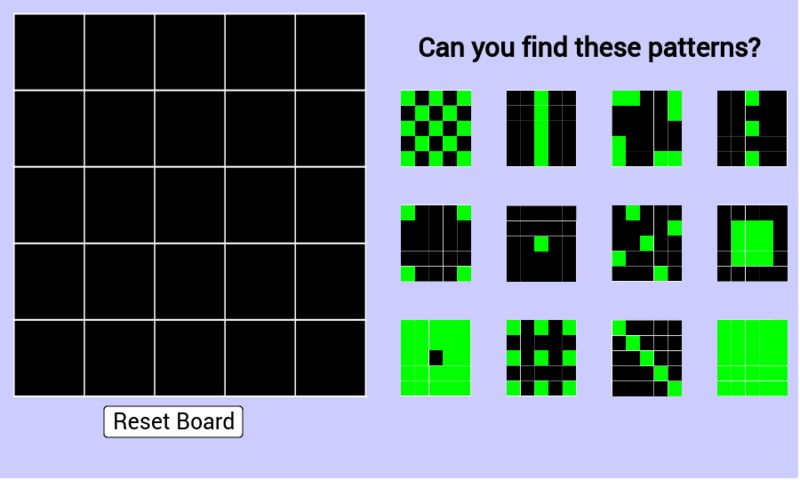 Can you find out how to create the twelve target patterns? If you'd like to play with the board without worrying about the target patterns, you can.